Natural stone is beautiful, durable, and functional. See how you can use this material in your landscape design. What better way to accent your outdoor space than with natural stones? Natural stone paving is a great way to create a beautiful and functional patio without completely disrupting the natural look and feel of your outdoor area. Rather than introducing a more “manufactured” look with man-made materials, natural stones blend seamlessly into your landscape. Here at Hackmann Lawn and Landscape we work with high-quality natural stone materials to create a wide variety of landscape designs. Natural stone is very versatile and can be used to create patio surfaces, walkways, functional aspects such as steps or benches, and also create clean, crisp lines throughout your yard. You might think natural stone is a bit boring, but with the right landscape designer, you can create an interesting and eye-catching design with different stones. Hackmann Lawn works with a wide variety of natural stones in different colors and textures, so your stone landscaping will be anything but boring. High quality natural stone is also low-maintenance, so you won’t have to worry about difficult cleaning or upkeep. The easy maintenance will ensure that your natural stone landscaping will look great for years to come. 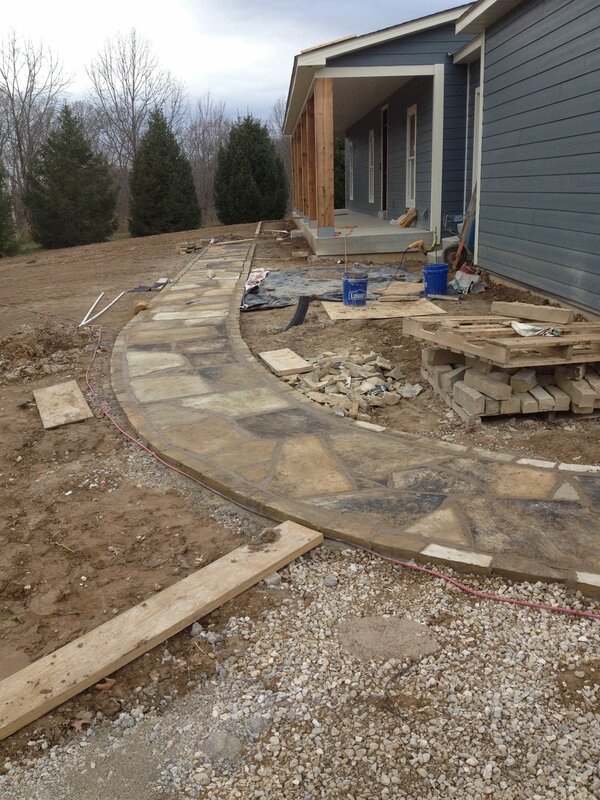 How do you envision natural stone being used in your yard? Take a look at the photos below to get a little inspiration! Keep in mind that we also love doing custom projects and would be happy to discuss your ideas. 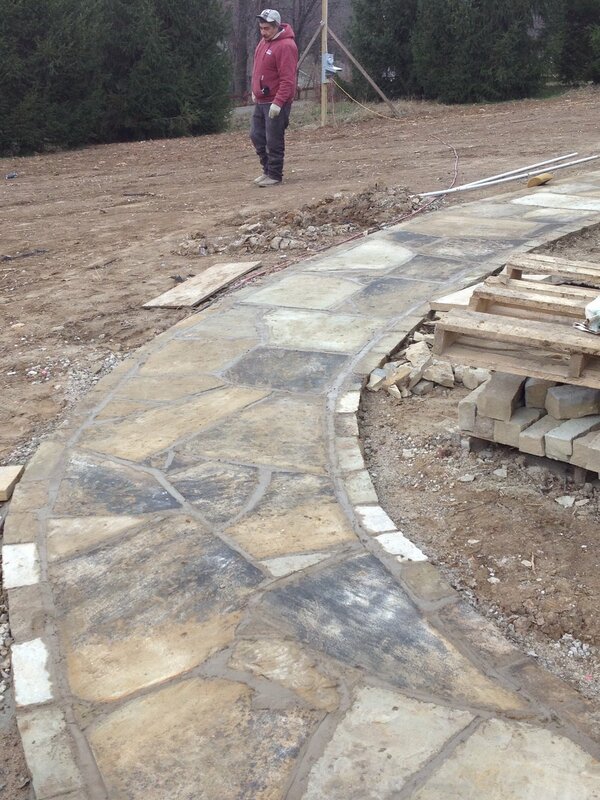 If you have any natural stone landscaping plans in mind, contact us for a quote.